Did You Know You’re My Hero? is a bright blue crelly with intense pink to gold to red shimmer. I used 2 coats and a glossy top coat for these photos. 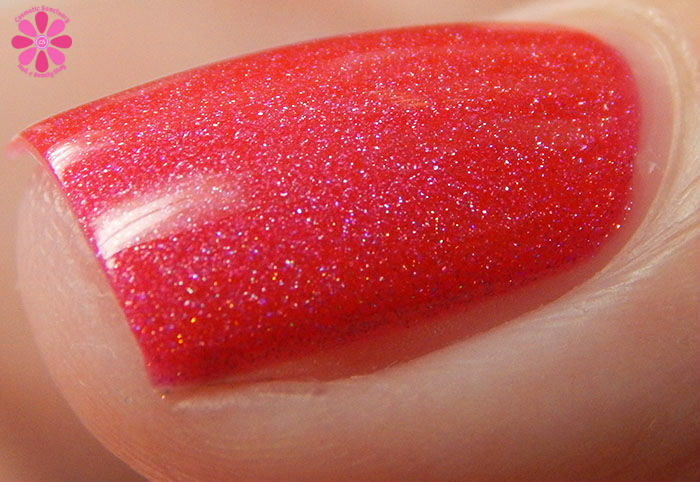 Helen is a muted turquoise crelly base with intense pink to gold to red shimmer. I used 2 coats and a glossy top coat for these photos. Life Is A Highway is a magenta pink jelly with scattered holo and magenta and purple iridescent microglitter mixed in. I used 2 coats and a glossy top coat for these photos. Miss You My Friend is a light sky blue intense linear holographic with silver micro flakes mixed in. I used 2 easy coats and a glossy top coat for these photos. 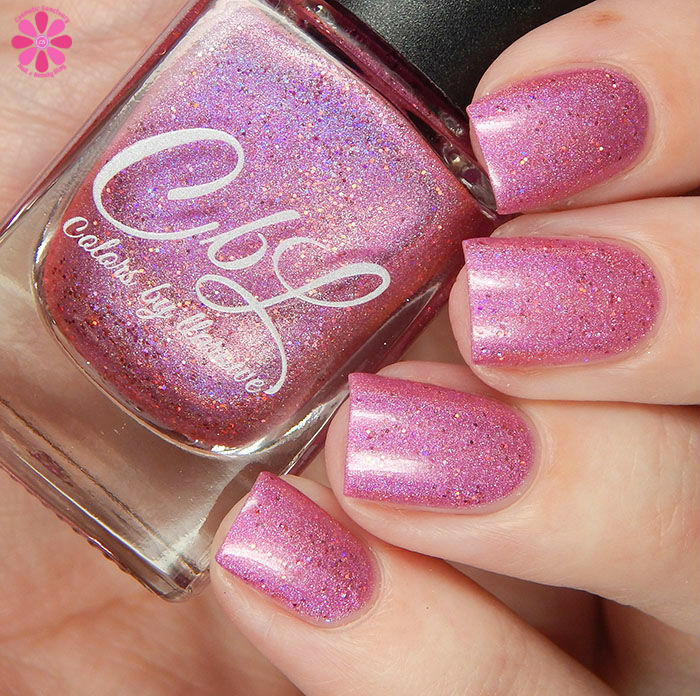 On The Wings of Eagles is a charcoal taupe crelly base with intense pink to gold to red shimmer. I used 2 coats and a glossy top coat for these photos. 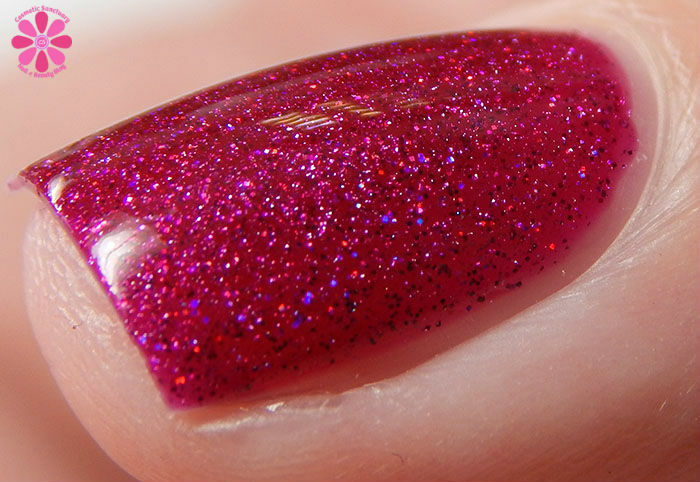 Pretty In Pink is a bright pink intense linear holographic with pink, cherry red and rose holo micro glitters mixed in. I used 2 coats and a glossy top coat for these photos. Rare Jade is a jade green crelly base with gold flakes mixed in. I used 3 thin coats and a glossy top coat for these photos. 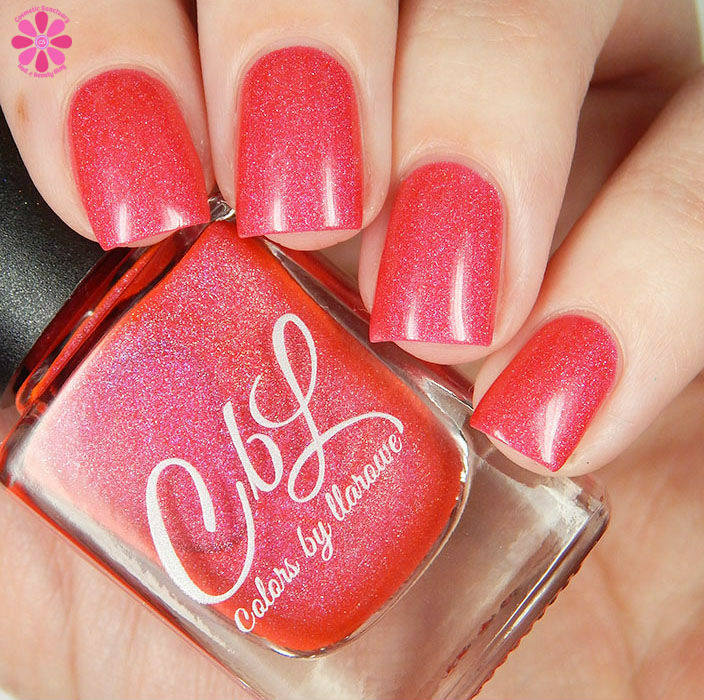 You Make Me Smile is a borderline neon pink leaning coral with a subtle linear holographic and blue/purple shimmer. I used 2 coats and a glossy top coat for these photos. This is a beautiful, sweet collection. Such a touching tribute and a portion of the proceeds from these shades will go to Helen’s Charity, and as always – I love seeing polishes that go to a good cause. This collection has a nice variety of colors and finishes, and the application was perfection. What did you think of this collection? 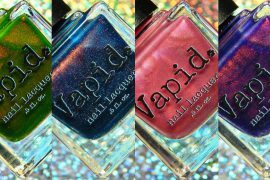 Will you be preordering any of these fabulous tribute shades? 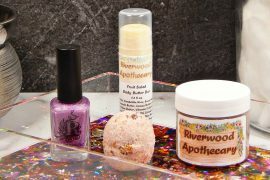 I will have the remaining 4 polishes releasing for Spring on the blog tomorrow. All of these are beautiful, but Did you know you’re my hero, Helen, and Rare Jade are so so lovely! 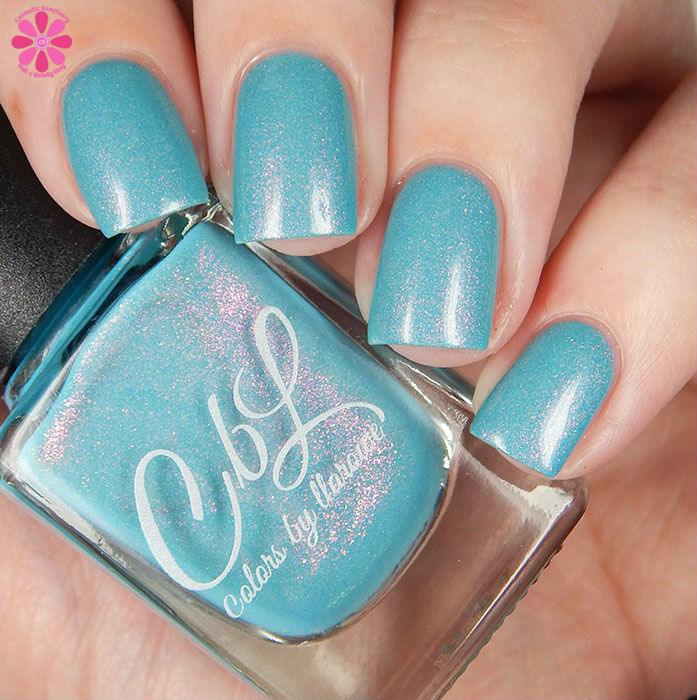 I have never tried a CbL shade. What a gorgeous collection! On The Wings of Eagles is breathtaking! I’m pretty much blown away by your swatches and the detail the camera picks up. Amazing. What a gorgeous collection, and an inspiring story behind it. These are so tempting. I don’t have anything like On the Wings of Eagles so that’s on my list. I love the charity aspect of this. Ugh – I swear I feel like I should give Llarowe my wallet. 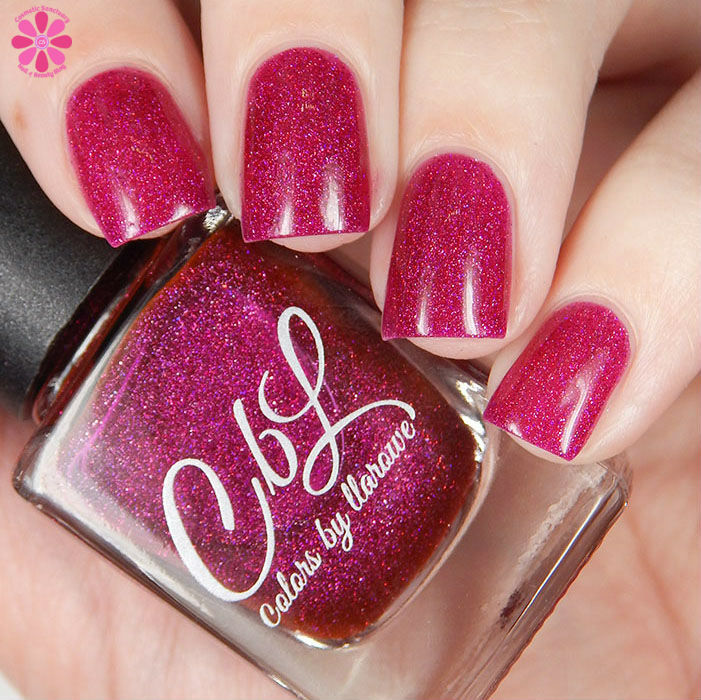 The collections that Leah Ann has been releasing lately have all been so gorgeous. These are all amazing – beautiful pictures! I like them all! Great shades! What a gorgeous collection and I love the names. Your swatches slay. Oh wow, Did You Know You’re My Hero? is so stunning! That colour shift! Wow, this is a really gorgeous collection! Beautiful swatches too! 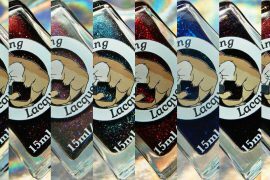 These polishes are incredible! I really love On the Wings of Eagles. These are gorgeous shades… I think they are so pretty with their little sparkles. I LOVE the 4 in the top row of your collage! On The Wings of Eagles is so beautiful and very unique. Pretty sure between the stampers and this collection, she’s trying to make me go broke :P Such stunning swatches as always! !